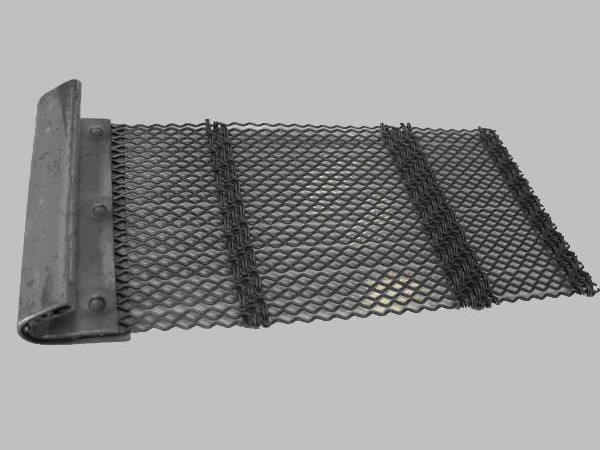 self-cleaning screen mesh in the design to abandon the traditional concept, but also has two linear and elliptical trajectory, vibrating screen in the solid-liquid mixing zone to make a linear motion to get the best screening effect, in the semi-solid material zone to do the elliptical motion to prevent solid particles to produce secondary crushing and improve the speed of. When faced with special strata, appear sediment card paste mesh phenomenon, self-cleaning shaker at any time reverse operation, resulting in an inverse elliptical motion, then the solid phase particles are formed in the mud and thrown out of the process card into the sieve particles adhered out, resulting in self-cleaning effect of the screen surface. the self-cleaning screen mesh is a multi-tank waterfall design with a uniform distribution of load on the front and rear screens, so the average service life of the screen is more than 800 (h) hours, and the cost is lower than that of the various vibrating screens currently in use.self-cleaning screen mesh all-around stainless steel and the high-strength composite rubber band to do anti-splash design, beautiful, clean and durable. The use of Marine Heavy-Duty anti-corrosion coating five-layer coating, color with beautiful, good corrosion resistance. Prev: Shale Shaker Screen to "longevity", the screen to choose!